Instead of waiting until Monday Night Raw to advertise anything for SmackDown Live next week, WWE has announced two matches and a contract signing for the show. 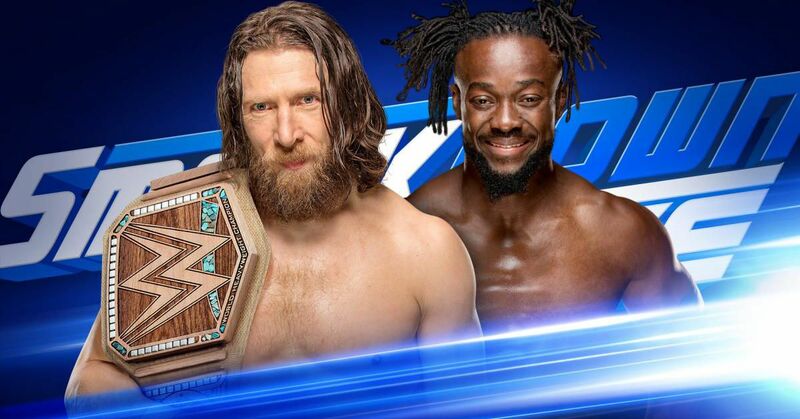 First, Daniel Bryan and Kofi Kingston will sign for their WWE championship match scheduled for the upcoming Fastlane pay-per-view (PPV) on Sun., Mar. 10, 2019, at the Quicken Loans Arena in Cleveland, Ohio. Considering this will likely include Big Flannel (Erick Rowan) and the rest of New Day (Xavier Woods, Big E), this has potential for a lot of fun. Elsewhere, two matches featuring the recent NXT call ups have been scheduled. Johnny Gargano (with Tommaso Ciampa in his corner) will take on Cesaro (with Sheamus in his corner) in a singles match. Meanwhile, Ricochet and Aleister Black team up to take on Rusev and Shinsuke Nakamura in tag team action. So far, that's all that has been announced.